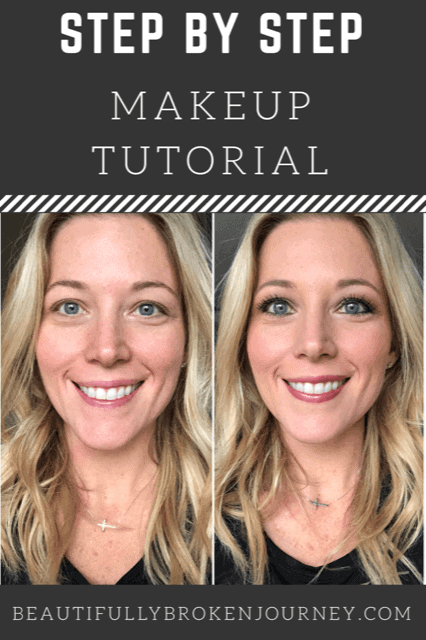 A step by step makeup tutorial for beginners. Putting on makeup everyday can be done fast and look natural! You asked for it, so today I’m delivering my first step by step makeup tutorial! It’s obvious I am not a professional but it was kinda fun to do this. I hope it gives you the information many of you have asked for over on Instagram, and if you have any other questions please let me know! I love my makeup and it’s a huge compliment to me that so many of you like it, too. The majority of my makeup is from Arbonne, with the exception of a few products. I started using Arbonne in 2005, and have been hooked ever since. All of the products I share in the video are listed below along with the colors that I use. If you have any questions let me know! I’m happy to help! Arbonne Makeup Primer- Creates a smooth surface and feels like silk! Helps fill in lines and wrinkles as well and helps foundation stay on. Arbonne Setting Pretty Translucent Loose Powder SPF 15– A luminescent and weightless powder that you can use all year round! I love that it’s only one color so as seasons change my powder color doesn’t. It literally “sets” my foundation and concealer and gives me a more finished look. Arbonne Prime & Proper Eye Makeup Primer- Similar to our other primer, except this one is for your eyes. Helps your eye shadow stay on better and you have to use less of it as well since it helps your eye color “pop”. Julep Length Matters Mascara- I am kind of a mascara snob… I fully admit it. I’ve tried too many to count and am always disappointed. I found this one a few years ago and love it. I’ve tried others since finding it and always go back to this one. There you have it! It seems like a lot when I write it all out, but it takes me about 7 minutes to put on my makeup every morning. 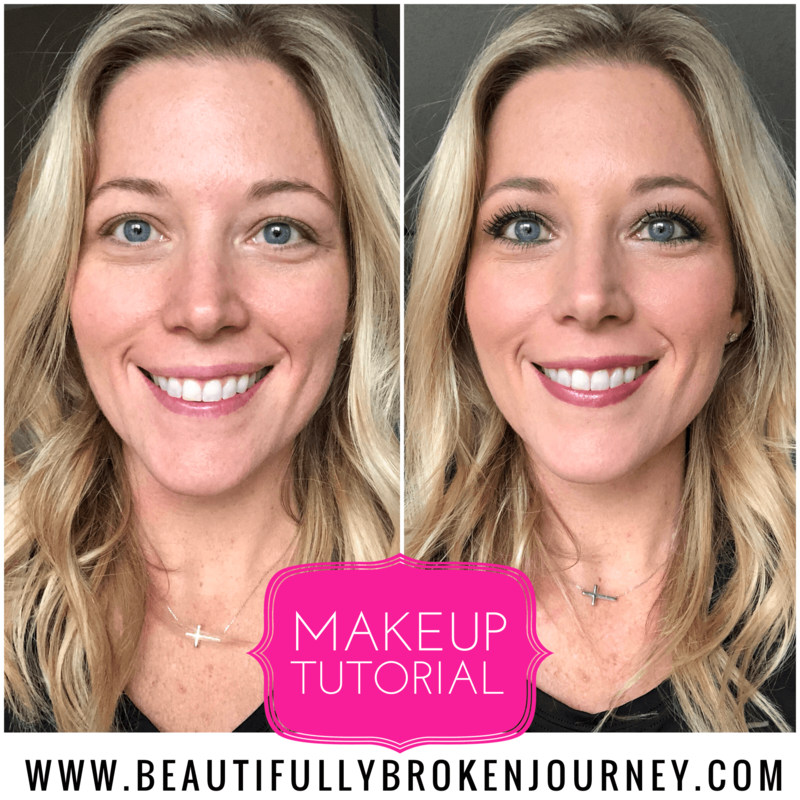 You shouldn’t have to spend forever putting on your makeup, it can be done quickly! Arbonne offers a Preferred Client option. You can receive 20% off your orders. If you are interested you can click here to learn more about it. I used to actively sell Arbonne years ago, now I just share it with people who ask about the products I use. It’s a wonderful company with a great product that is pure, safe & beneficial. Can’t beat that! I began seeing an esthetician this year to help repair my skin after years of bad acne growing up. I was also a sun worshipper and spent more time in the sun and tanning bed than I’d like to admit over the years. I wanted to repair my skin from the inside out, like I’ve done with my body, so I found a wonderful clinic in Kansas City that has helped my skin. I see Oleha at Kenlee’s Skin Shop in Overland Park, KS for my skincare treatments. You can find more information about their services here, and if you go, let them know I referred you and you will receive a discount on your first service! I also have a mineral powder that I use occasionally that I purchase from here, I prefer my Arbonne foundation but if I just need something super quick sometimes I’ll use their mineral powder instead. Take care of your body, from the inside out! Hope you have a great day! 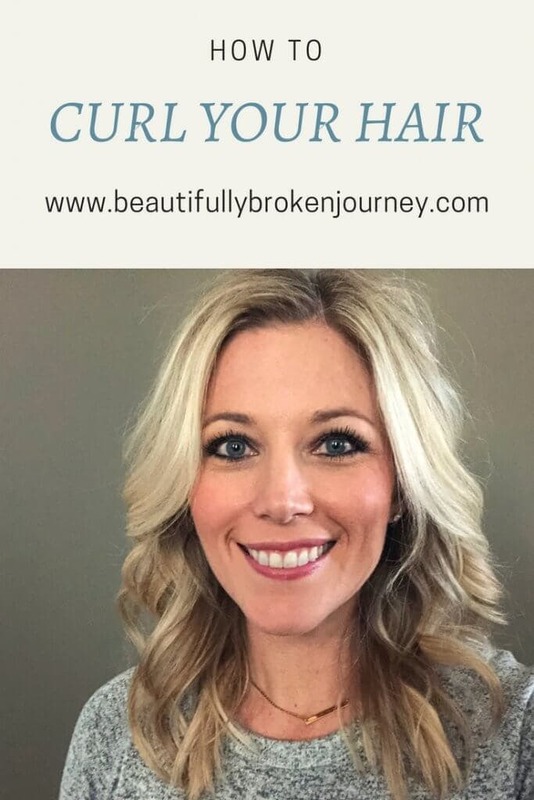 Have you seen my hair tutorial on how to curl your hair in 10 minutes or less? Check it out here. You did a good tetorial on your makeup. It’s very simple and easy. I liked it, your beautiful young women too. Congratulations on your success. Thank you so much for your makeup video. I’ve been following you on IG for awhile and always loved your makeup. In addition you’re an amazing inspiration as a fellow WW. Thank you so much!! Thank you so much, Linda! That means a lot! Great job Amy on your first beauty blog! I am going to try some of your techniques as I get ready this morning! A few of questions. 1. Did you put your bottom eyeliner on the water line or the lash line? 2. Do you love the arbonne eyeliner? I have oily skin (that I am working on) and eyeliners tend to slide off so I need something that will last all day and not give me raccoon eyes! 3. I have heard great things about arbonne from beauty bloggers and have reached out to like 5 arbonne representatives in my area and didn’t get a single reply which tells me they probably are not selling it anymore. I really would like to try it, but I don’t know how to match a foundation color without trying on the product. Can you offer any help/ suggestions with that. Will arbonne send you a color palette or do I just need to buy it and try it? Appreciate any help you can provide and again great post. The make-up came out beautiful but you started with a beautiful canvas! 1- I put it on my lash line, pretty close the the water line though. 2- I have oily skin as well. I usually have to wipe the corner of my eye, but I never end up with it running down and looking “raccoon-ish”. Wiping the corners of my eye is typical of every eyeliner I’ve ever tried. If I’ve had one that hasn’t done that I can’t get it off and I have to scrub harder than I want to so it’s a small sacrifice! ha! 3- I’m sorry no one has helped you. I’m happy to! There is a 45 day money back guarantee, so if you choose the wrong color, you can return it within 45 days. Even if the product has been used (which obviously if it’s the wrong color it will be 🙂 ). If you want I can email you and we can chat about it and maybe I can help you find a color instead of you just guessing. Let me know if that’s ok. I’d love for you to try the makeup. It’s so wonderful!! Thank you Amy! And I would love for you to help me purchase the Arbonne foundation. I currently wear Tawny from Estee Lauder if that helps. Yes, please email me (think you have my email as its required to post a comment) Thank you so so much! You are the best! Loved your tutorial! I’m planning to order the eyeshadow. Do the base and contour colors come together or do I order them separately? Do I need to order a case? You order them separately and I would order a case. Otherwise it comes in a plastic container that doesn’t hold up as well. Hope you love the colors! Loved your makeup tutorial. You make it look so simple. Can I ask you what two makebrushes you used for the two different eye shadows. Will be trying those products. Thanks you so much and congratulations on your weight loss. Your beautiful. Thanks so much, Terrie! Arbonne sells a brush set and I use the two smaller ones for eyeshadow. You are a beautiful soul with or without makeup. Thank you for sharing your make-up process. I am going to checkout some Arbonne products in the near future. I also love following you on Instagram! Thank you so much, Nancy. I appreciate your compliment so much! Would love for you to try Arbonne, let me know if I can help! Dear Amy…thanks for the tutorial – you make it look so easy. You are beautiful with or without make-up BTW. I’m going to try a few of the products you recommend and am excited to do so. One question though, what do you use to remove your make-up? Is there a particular product you suggest? I don’t wear much make-up right now, and I like to be sure my skin is clean when I go to bed. Thank you! Hi Maureen, I use a wash my aesthetician recommended based on my skin. But, if you are purchasing Arbonne I love the RE9 Facial Wash or the Calm Wash if you have sensitive skin. Both are great!!! I hope you love the products you try! !